If you’d like to volunteer out and around the city, helping out at a bucket collection is the one for you! 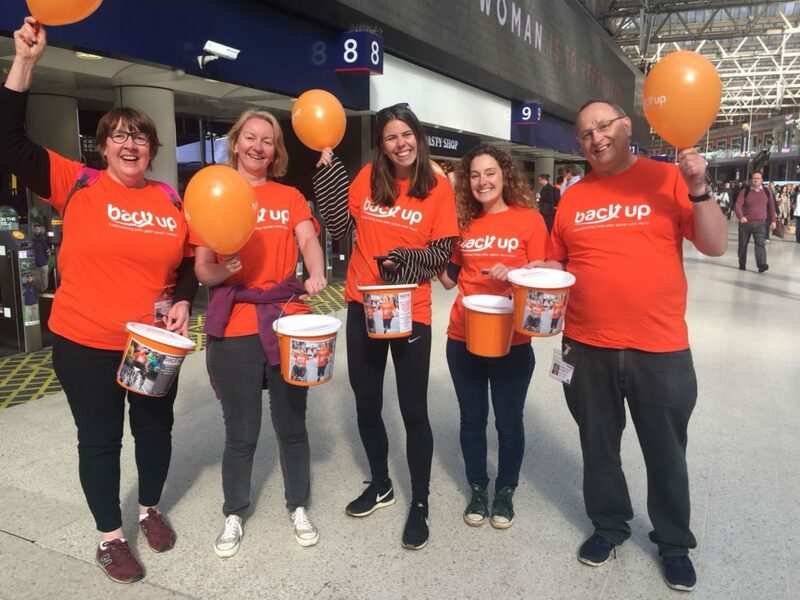 All our bucket collections take place at accessible train stations and we’re always looking for volunteers who are willing to come along and help us raise some vital funds. The collections run throughout the day, so you can come along for as long as you want – even 30 minutes would be helpful. We’ll arm you with a Back Up t-shirt and a coffee to keep you going. Check out the dates above and sign up below if there’s a date that suits you. Fill in our form now to sign up for one of our bucket collections. If you’d like to find out more about volunteering at a bucket collection, please get in touch with our Fundraising Assistant, Reece, by email or give him a call on 020 8875 1805.